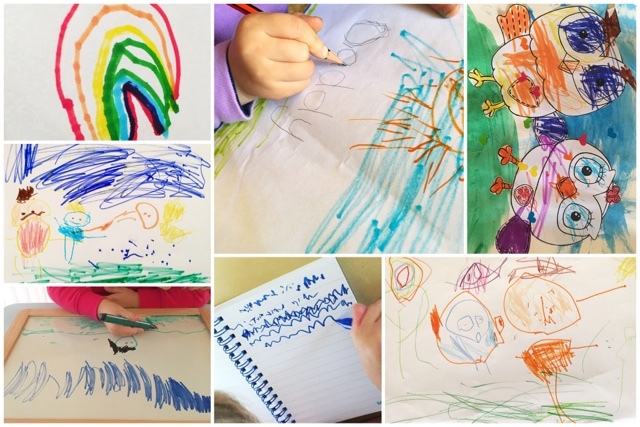 It all begins with toddler scribble, then comes more purposeful colouring, shapes become recognisable pictures, letters start to appear and it all falls into place! Children come to their first year of school with a wide variety of pre-existing skills. Some have never really held a pencil before, and others can write their name and colour in neatly. It really varies from child to child. Just quietly I think it's super cute when kids first start to draw pictures of people and its just a circle head with sticks coming out of it lol! I always say to them - "Do your arms come out of your ears?" 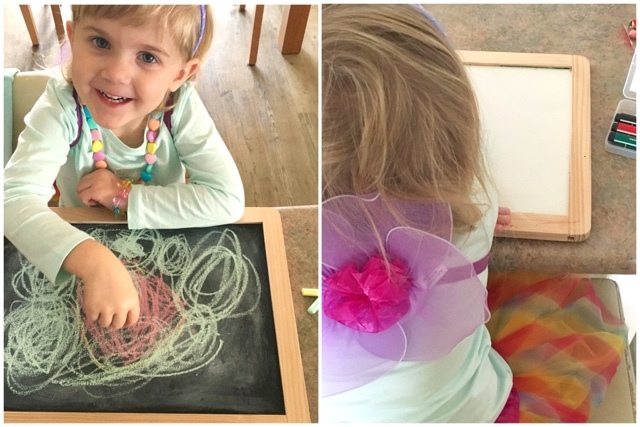 If you want to encourage your preschooler to colour, draw and write before starting school (or if your school kid needs a bit more help in this area) I have some ideas for you! So this is my first suggestion - make it fun! Your child will be more likely to engage in an activity if it's fun, interesting and holds their attention. 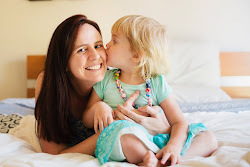 My friend Cindy from Your Kids OT has lots of great advice on what the correct pencil grip looks like and how to get your child to achieve it. The earlier the better because the habit of holding a pencil incorrectly is very hard to reverse by the time they move up through the year levels at school. Pencil grips can also be really useful nifty little things to help little fingers hold the pencils correctly. I also came across this fantastic article by How we Montessori about writing tips for left handed children. I didn't realise there were left handed pencils you can get! Kids love imaginary play! Dressing up and pretending to be someone else, or acting out everyday things that they see their parents do like writing shopping lists, recipes, letters and cards, instructions, reminders, calendar or diary entires etc etc... So get them involved as well! We absolutely love this Dear Little Designs Letter box! 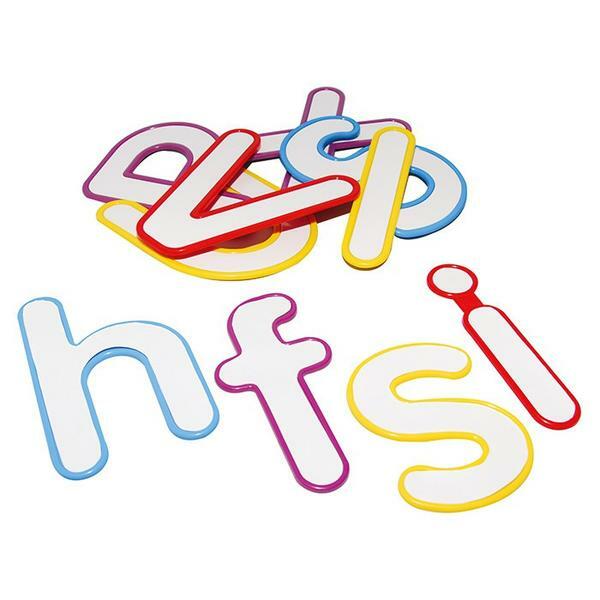 It's such an exciting way to practise early writing skills, and it comes with all the little bits and pieces you'll need (envelopes, stamps, stickers, letter writing paper and pencils). They would make a great Christmas present! Trace - Copy - Have a go! If your child's showing an interest in writing and you want to do some explicit teaching with them, write a simple word (like their name, mum or dad) in large letters and invite them to trace over it. You can also indicate where to start the letter with a dot. 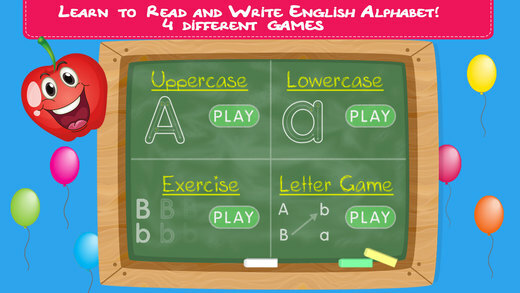 Tracing over a highlighted letter or word is another great idea! 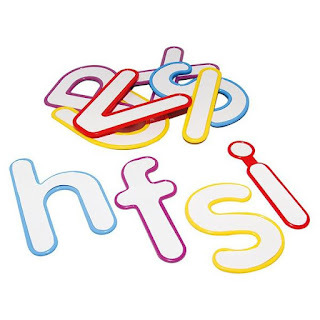 I found a great name tracing activity here from Buggy and Buddy, and these write and wipe letters from The Creative Toy Shop are fantastic to encourage early writing as well! 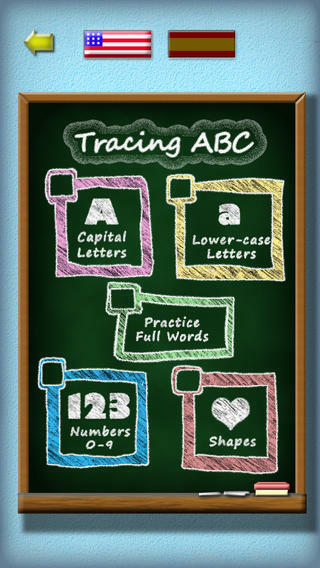 Once they've got the hang of tracing, ask your child to copy the letter or word you've written. 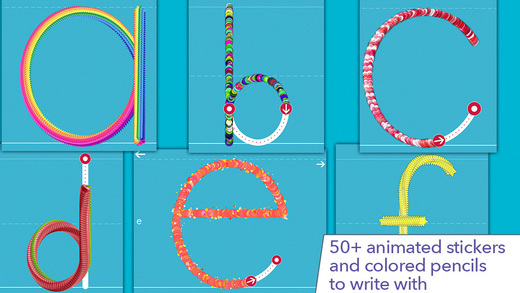 The aim is that eventually they'll remember what the letter looks like and how to make it! Traditional worksheets aren't for everyone - but I believe in moderation and if the child wants to, they can be great! Something I like to do is cut out the shapes they've coloured in and glue them on a new piece of paper to make them look a bit neater. Visit the ABC kids website for find some colouring in pages from you child's favourite TV show to get them motivated! 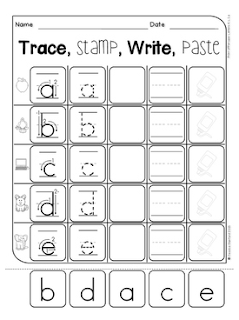 A great place to start for pre-writers is tracing along the lines before they get ready to learn the letters. 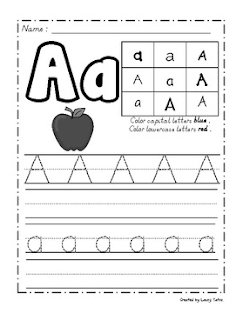 I found a great booklet from Twinkl and below are some other examples of handwriting sheets from Teachers Pay Teachers. I thought it would be really useful to end with some app suggestions because it's something parents are always asking me. They figure - "my kid is going to spend time playing in the iPad - let's try and at least make it educational." Like I said above, when they're starting off, if their finger is the pencil, they can get the hang of the shape of the letter before they need to master the correct pencil grip. Tracing ABC Writer: I really like the chalk on blackboard graphics of this one, and it's self correcting which is great (you need to get the letter right and meet the checkpoint stars to move up to the next letter) and it offers upper and lower case letters. But it has a weird robot man voice - so I would play it on silent lol! Download here. 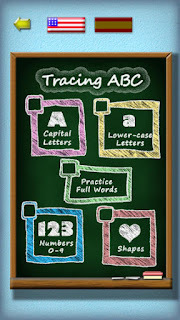 Tracing ABC is great because not only can you practise letters, but numbers and shapes as well. 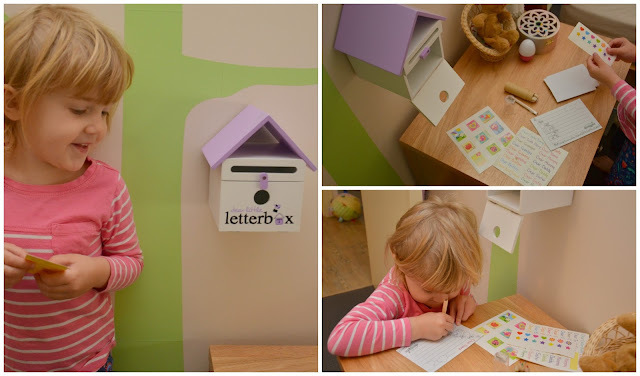 It gently guides little fingers to trace the letter correctly, and kids will love the pretty sparkly stars as they go! If they get stuck a little finger pops up to show them. Get it here. Alphabet Learn to Write has a great feature where kids can choose their pencil colour or fancy decorations to trace their letters (again capital and lower case letters). Each letter has the starting point and direction which is good but it's not self correcting so the kid could just scribble all over the page for all you know! 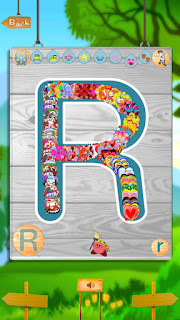 It also has a nice 'listen' section where kids can learn to recognise the letters and words they start with. Download here. These three apps I've mentioned all have a 'free' version and then you can purchase the full version if you wish. Writing Wizard is a paid app ($7.99) but it looks fantastic! Letters, numbers, words, various fonts to trace with a variety of fun stickers and sounds and interactive games. So what do you think my lovely readers? Any of these ideas sound appealing to your little one? Feel free to leave me a question if you'd like some more advice on pre-writing. Remember to make it fun and aim for learning through play! Love these tips! My son likes to paint with water on the concrete. Miss L can write her own name but always seems reluctant to do so when I ask her and says she can't. Same with drawing or colouring in sometimes. What's up with that? Love this! Mine is at the "head with legs coming out of it" stage - I think it's hilarious! Great ideas here. Thanks Lauren. So many great tips and resources!